"Get off my lawn kid!" 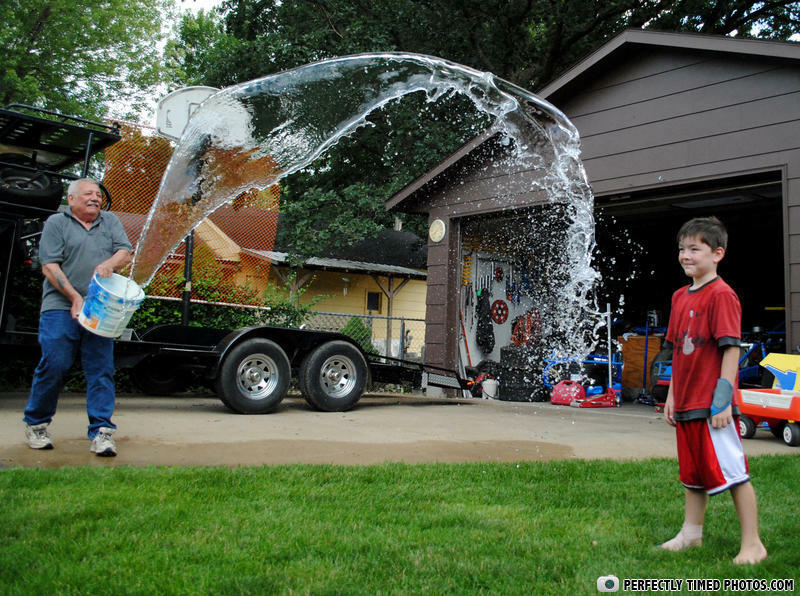 "Grandpa told me to look to that tree over there coz he had a surpri-ASGRBLARGHBWAA"
anyone else notice the water is like not coming from the bucket, but floating in mid air as if it was there before he threw the bucket? Ha, ha, ha, my anti-water force has foiled you again grandpa!!!! if timmy knew what acid was he wouldn't be standing there.. Low-budget re-enactment of Hurricane Sandy on New Jersey.